When it come to forgot iTunes backup password, many users out there try their Apple account, iTunes Store, and a variety of other passwords but none of those seem to work for them. The following guide explains why that happens and what you can do about it. So, read on to learn everything about the iTunes backup passwords. Many of you ask what is the password to restore iPhone backup as this password is not the one being used in your Apple account. When the iTunes app prompts you to enter a password to restore your backup, you are supposed to enter the password that you created only for your backups. When you use iTunes for the first time to create a backup of your iPhone, the app lets you set up a new password for your backups. For every future backup that you make, the same password is automatically used, and you do not need to do anything. That password, the one that you set up while creating the first backup of your iPhone, is what you need to use to restore your backup. Now that you know what password iTunes has been prompting you for, it will be easier for you to recall the password. If you have recalled the password already, you can use the iTunes app to unlock and restore your iPhone backup. 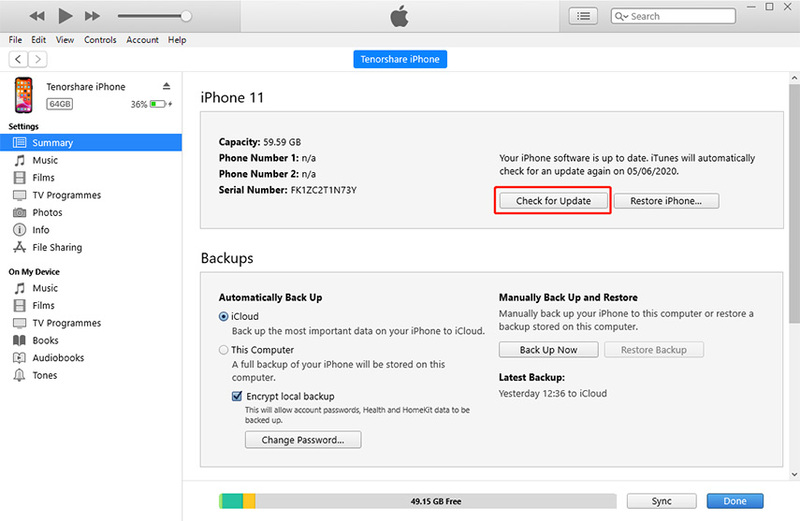 Restoring an iPhone backup is as easy as creating an iPhone backup and the following instructions should help you do it on your computer. Connect your iPhone to your computer using a compatible cable. It is recommended that you use the original cable that came with your device. Launch the iTunes app on your computer by clicking on the app icon on your desktop if you use Windows. If you are a Mac user, look for the app named iTunes in your Launchpad and open it. When the app launches, click on your device in the app to open the device menu. From the device menu, click on the option that says Summary. On the summary page, you will find a button saying Restore iPhone. Click on it to restore your iPhone backup. When iTunes asking for password to restore backup, enter in the password that you just recalled. The app will let you restore the backup on your iPhone without any issues. Make sure to use the same password for restoring iPhone backups in the future. That is how you restore an iPhone backup when you know the password for the backup. If you forgot password to restore iPhone backup, you are in a bit of a trouble as Apple offers no other ways to access an encrypted backup when its password is forgotten. You cannot use your Apple, iTunes, or any other passwords to access or restore the backup. Fortunately, there is a software called 4uKey - iTunes Backup that understands this pain of the iPhone users and it allows users to recover passwords for your iPhone backups. The software comes preloaded with multiple attack types to let you recover and restore backups on your iPhone. To get started, download and launch the software on your computer. Choose Retrieve iTunes backup password from the main interface of the software. On the following screen, you will see all the iTunes backup that exist on your computer. Select the one you want to recover the password for and click on Next. You now have three attack types to choose from. If you are not sure which one to go for, choose the first one that says Dictionary Attack and click on Start. Follow the instructions for the attack type you have chosen in the previous step. You will see the following on your screen when the password is being recovered. When the tool has recovered the password, it will be shown on your screen. There you go. You have successfully obtained the password for your iPhone backups and you may now use it in the iTunes app to restore your backups. 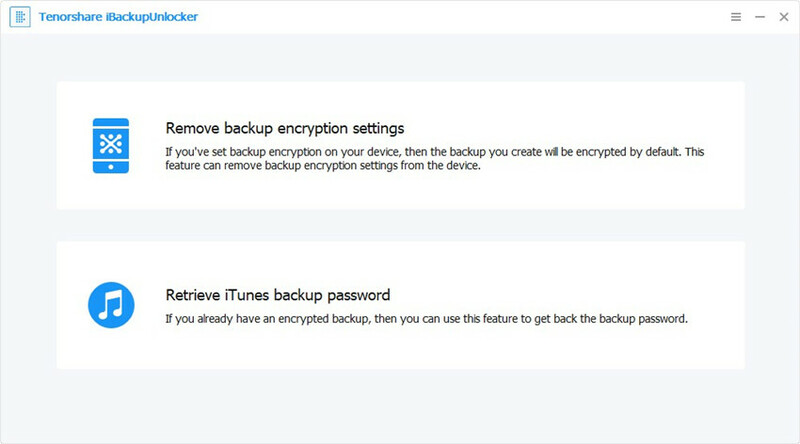 If you enable encryption while backing up your iPhone in iTunes, there is a password to restore iPhone backup and it must be entered before you restore the backup. With Tenorshare iPhone backup unlocking tool, you can restore an iPhone backup when you know the password and when you have forgotten the password.